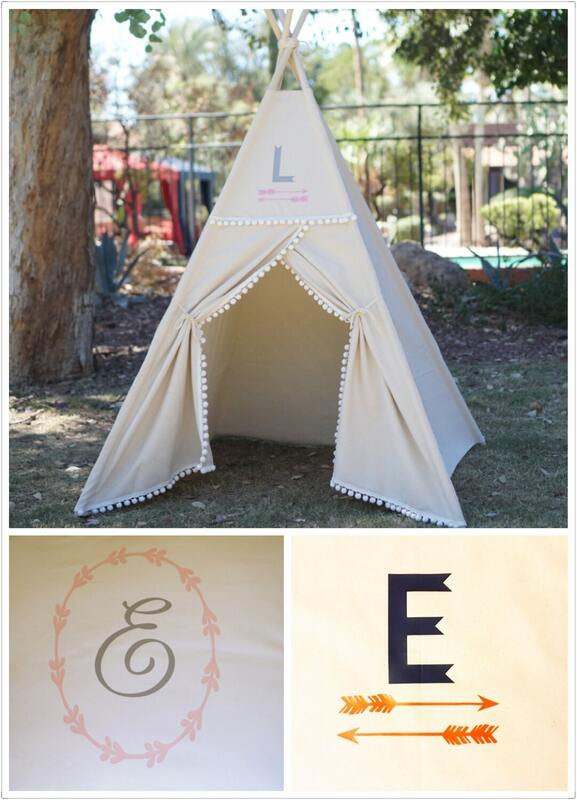 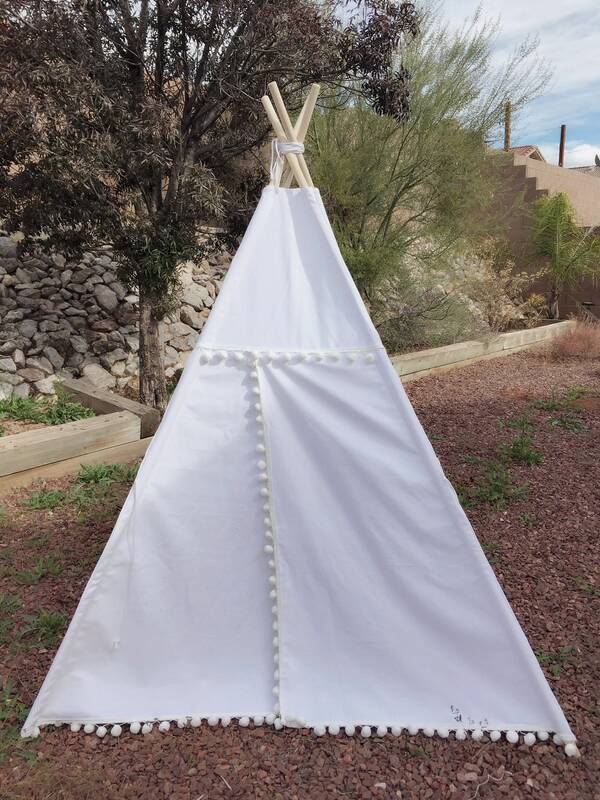 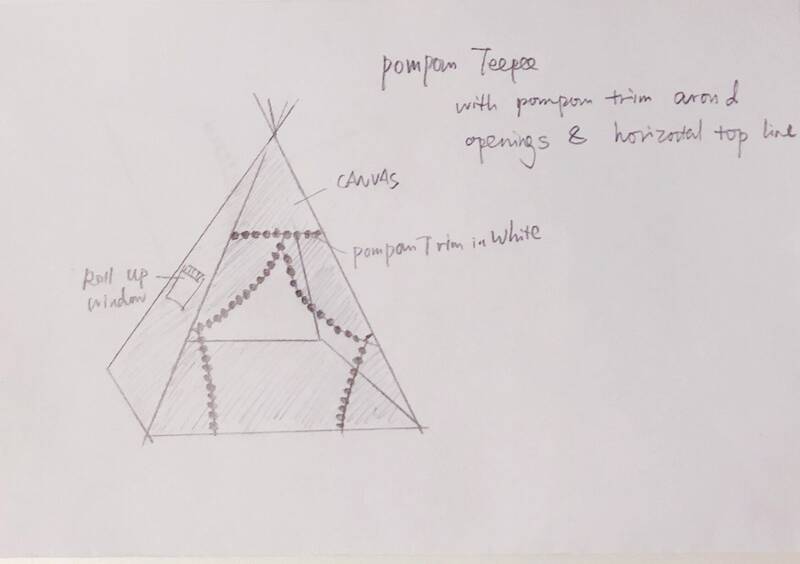 Here is the white canvas base teepee with lovely pompom trim around the openings and on the horizontal line. 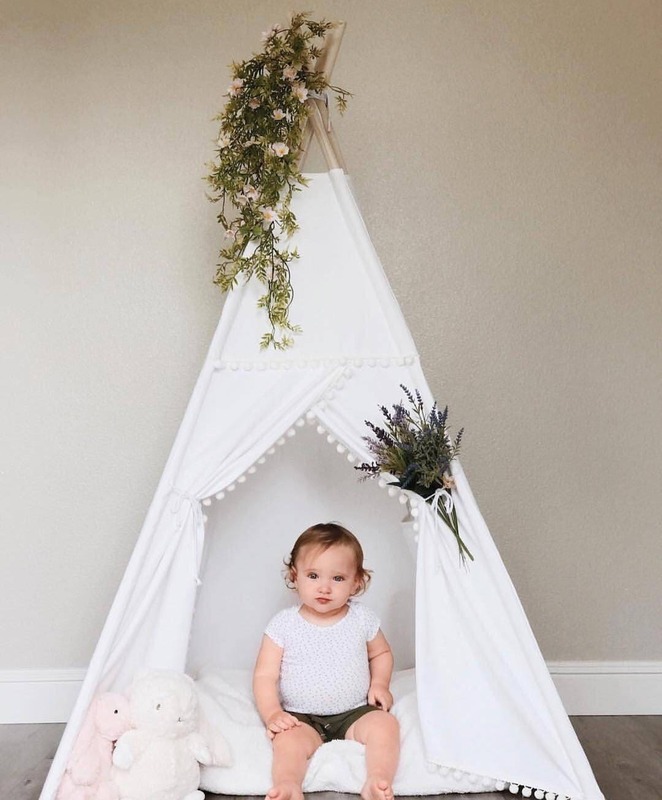 Pompom teepee is one of our original and signature design. 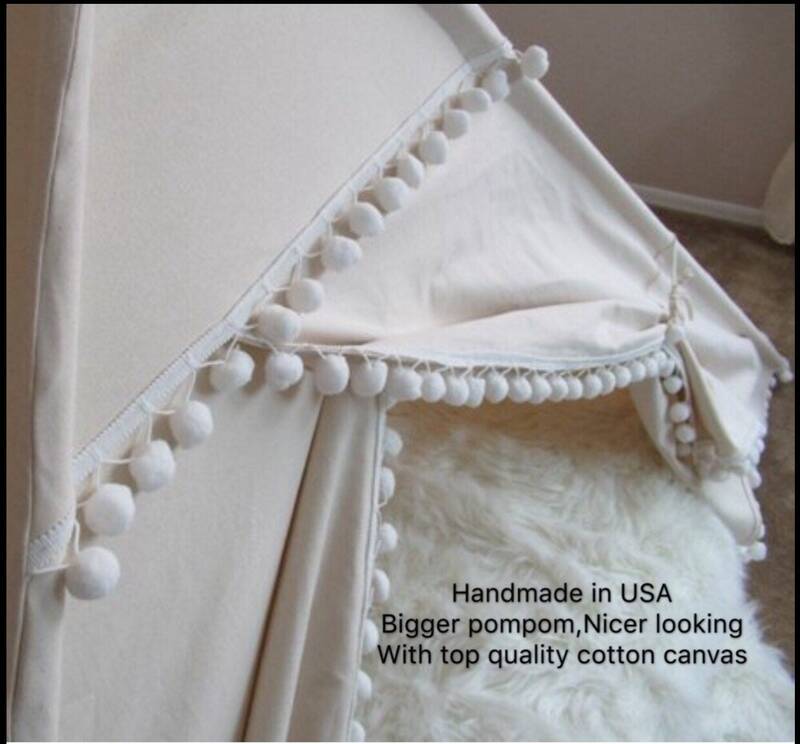 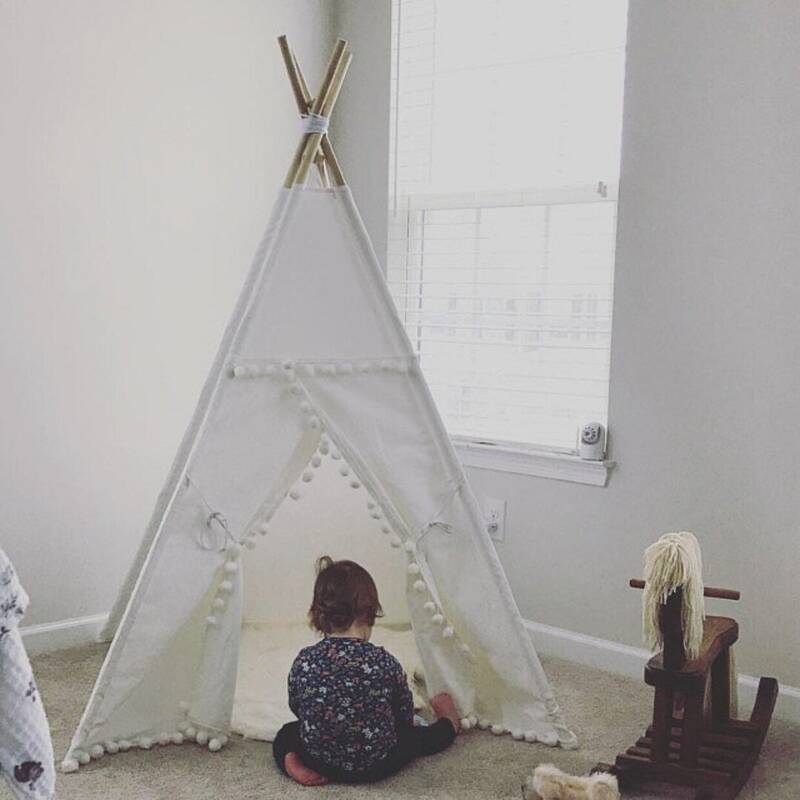 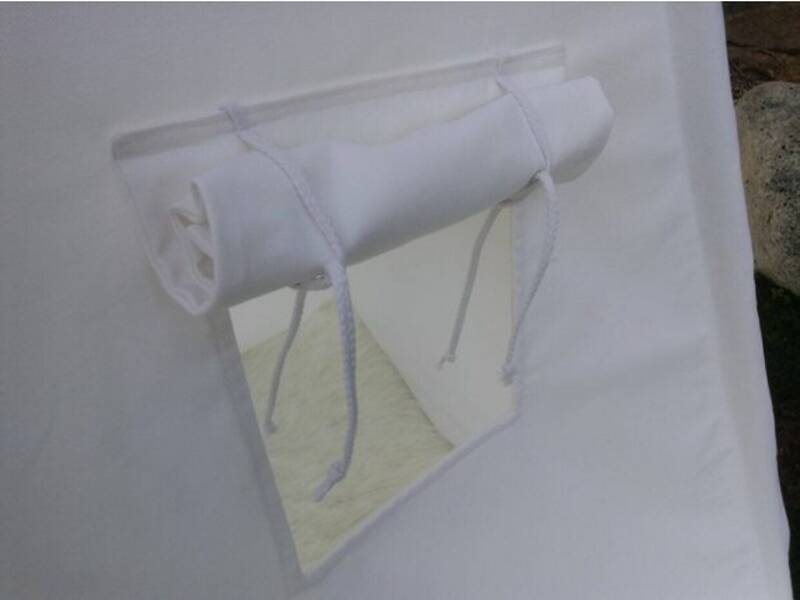 The authentic pompom teepee feature overlapping door flaps design and can close fully without gap.